“It is sheer folly to praise or to condemn your children. Praising builds egos into conflict; so does condemning them. Never think for one moment that condemning diminishes pride one bit, for it does just the opposite, swelling a child’s pride through his secret resentment and judgment. Once corrupted by praise, children often become addicts. Because praise actually seduces, corrupts and weakens children, they develop a lower and lower sense of self-worth. Addicted to praise, they will literally sell their minds and souls for it. Praise, like all its cousins (music, drugs, alcohol, etc. ), actually lowers their worth under the pretext of raising the spirit, because of what they must lower themselves to do to obtain it (praise). Alas, on either end there are agonies of swollen pride. The cruelty of degradation then could drive them back to the cruelty of praise, until one day they become afraid of making changes and get stuck in a rut as permanent victims of praise or condemnation. The pain could make them want to shoot themselves and all those who are involved in love/hate games of praise and condemnation. So, acknowledge good performance, but never praise it. Acknowledge bad performance, but don’t condemn it. There must never be condemning or condoning in your words—no emotion or exaggeration of pleasure or of displeasure. If your child draws a good picture and shows it to you for comment, appraise it honestly without emotion. Give your honest opinion. Is it quite good? Then say so calmly. Don’t pump up the child’s ego by emotion-charged exclamations of "Magnificent!" and "Wow, you are going to be a great artist!" (You could get them hung up on an artist’s trip when they have no talent.) 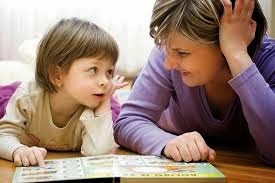 If the work could stand improvement, then you might do well to ask your child if he welcomes constructive criticism. Chances are, you will receive the go-ahead and then gentle criticism will be welcomed and taken under serious consideration.